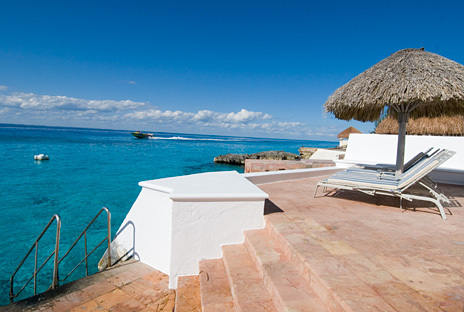 Stairs provide easy access into the turquoise waters; snorkeling is great! 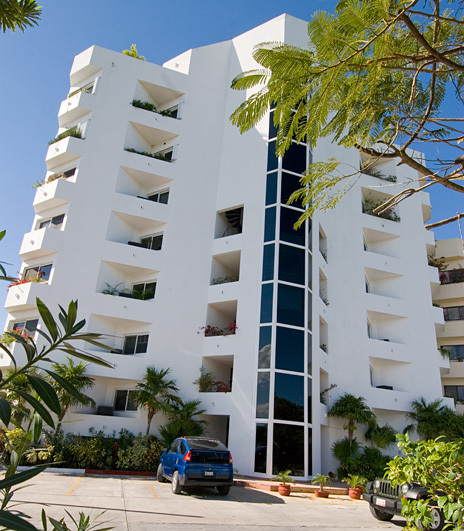 The Puesta del Sol Condominiums (Phase II) are located just 1.5 miles (2.4 km.) north of the central plaza of downtown San Miguel. This location is close enough for a pleasant walk to many restaurants and shopping. There is a new lighted walking and biking path all the way to town, but you can easily hail a taxi if you tire of walking. If you choose to rent a car, there is free off street parking. 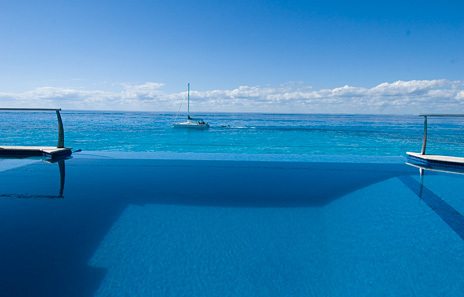 A large infinity edge pool appears to blend right in with the true blue colors of the Caribbean sea. 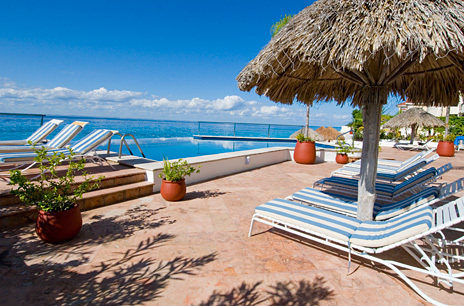 Surrounding the pool are lounge chairs and palapas (thatched umbrellas) that provide shade for your afternoon siesta. 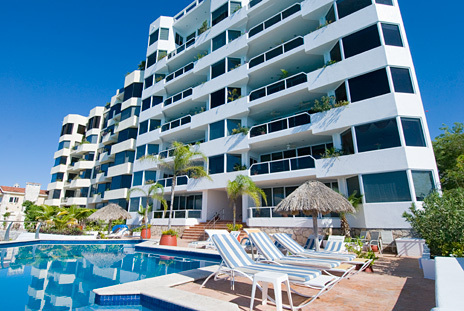 From your seaside balcony you will understand how Puesta del Sol got its name. Puesta del Sol means "sunset" in Spanish and you won't want to miss the stunning sunsets each evening as the sun appears to melt into the waters of the Caribbean. 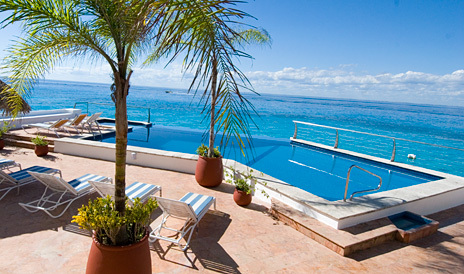 All condos have oceanfront balconies and views of the Caribbean for which Cozumel is famous. The bright turquoise waters are teeming with colorful tropical fish and super snorkeling is right out your door. Very often, playful dolphins are spotted just off shore. Let your stress melt away in the warm tropical sun while you lounge on the spacious deck, or perhaps you would prefer sipping rum punch at the refreshing infinity swimming pool while watching fishing boats heading back to the marina while the sunset turns your day into rainbow colors. 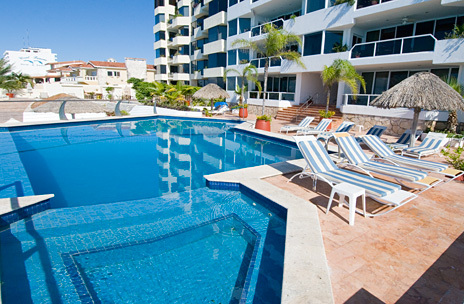 These condos are popular and do book quickly, so make your reservation now and "live your dream" at Puesta del Sol. The Puesta del Sol condos contain from 2 to 4 bedrooms, but can be rented with only the bedrooms you need, 2 guests per bedroom max. Extra rooms are locked off, never rented to another party, so your privacy is assured.